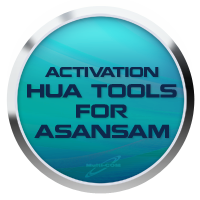 Activation HUA Dongle for Asansam Box allows to activate HUA software on Asansam Box. Software that allows you to direct unlock, repair imei, flash huawei phones. Initially created with Mediatek chipset support, HUA dongle will be also supporting Qualcom and Android models too.